Expand your everyday living space to blend seamlessly with your outdoor space with the Apartmento Outdoor Sectional Sofa. It has a contemporary feel with a tailored and refined look, but casual enough to enjoy anytime. The seats are deep and inviting without being over sized and too clunky. The “l-shape” design is great for larger parties, just add a few lounge chairs, some accent tables and voila, you have an incredible outdoor space. The Apartmento Outdoor Sectional is made of up a three-seat sofa and a right arm loveseat. The grey corner pillows are connected so that it all appears to be one unit. The frame is made with powder-coated aluminium in a summery white. The cushions are Sunbrella® are a gray color and are included in the price as shown. The grey color of the cushions and the white frame is a fantastic combination that is fresh, soothing and spa-like. 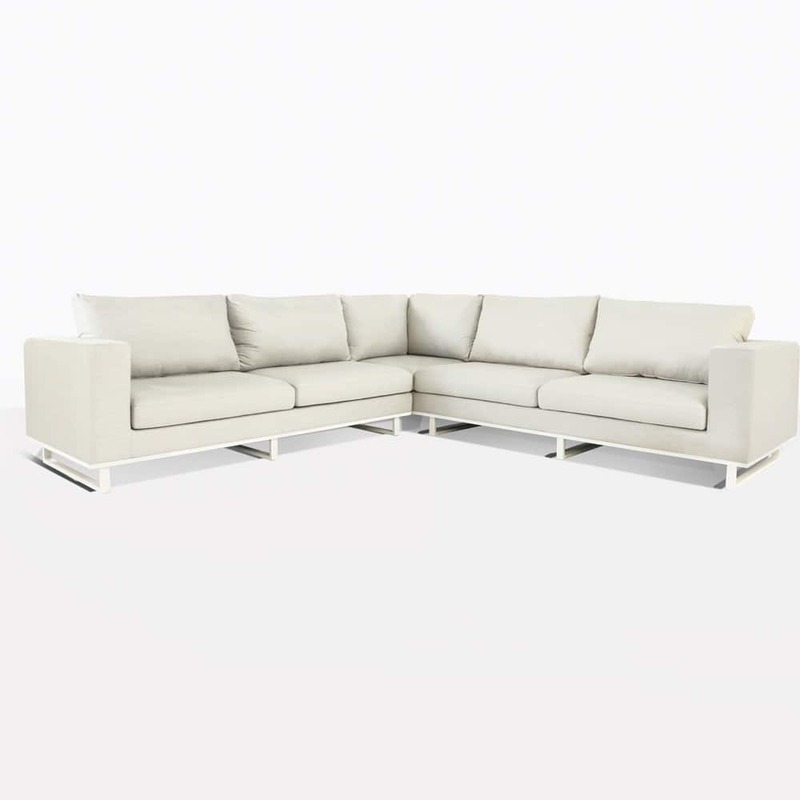 Design Warehouse offers a number of different styles of sectional sofas to choose from. The Apartmento Outdoor Sectional is a fantastic choice and can be paired with many different types of side tables and accent chairs.